CRYSTAL CLEAR EPOXY is a SUPER GLOSS , clear polymer that is used for coating wood, veneer, metal, stone, painted surfaces, table tops and many other surfaces to give rich super gloss look and protect from scratching and air humidity. Surfaces coated with this product very durable, water resistant and easy to care. 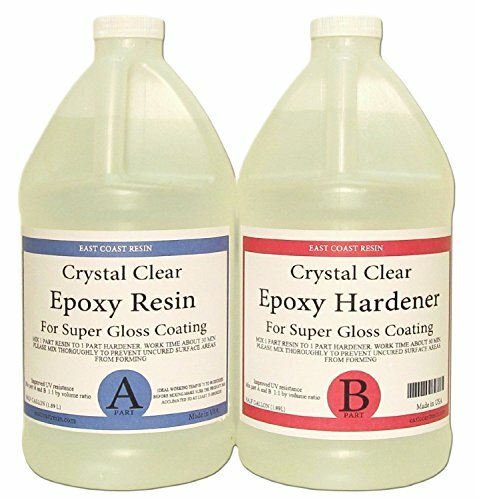 1 Gallon kit of Crystal Clear Epoxy contains two parts: resin ( 1/2 gal ) and hardener ( 1/2 gal ) which are mixed together at a 1 to 1 ratio by volume. Work time is 30-35 min. Detailed instruction included with each kit. 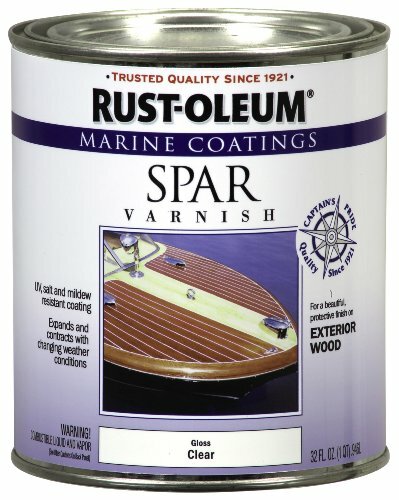 Rust-Oleum Marine Spar Varnish is formulated to provide superior protection against sunlight, water, sea spray and chemicals on exterior wood surfaces above the water line. The flexible coating expands and contracts with changing weather conditions in a stunning clear finish. With twice the durability as conventional wood finishes, it is the perfect top coat for your marine projects. 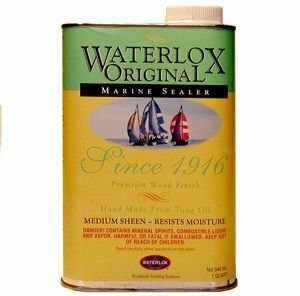 World famous, highest quality marine spar varnish. 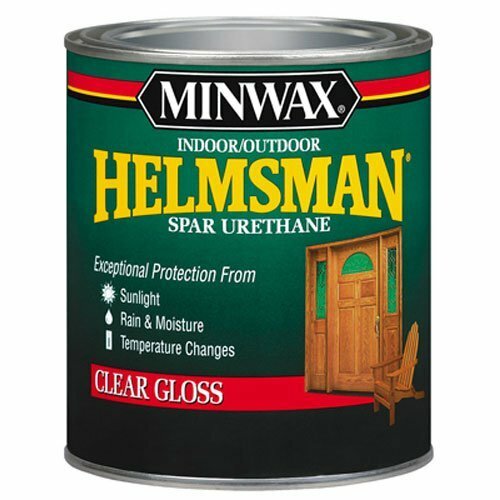 Formulated with tung oil, phenolic and alkyd resins and U.V. filters for superior protection. 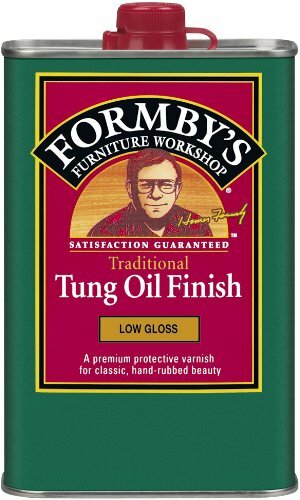 World famous, highest quality traditional tung oil marine spar varnish. 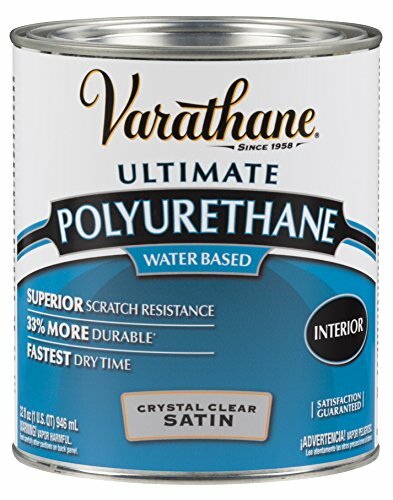 Formulated with tung oil, phenolic and alkyd resins resulting in a finish that has superior flow, gloss, durability, and exceptional longevity. Used in many applications, both exterior and interior, household or marine, brushed, sprayed, or rolled and tipped. 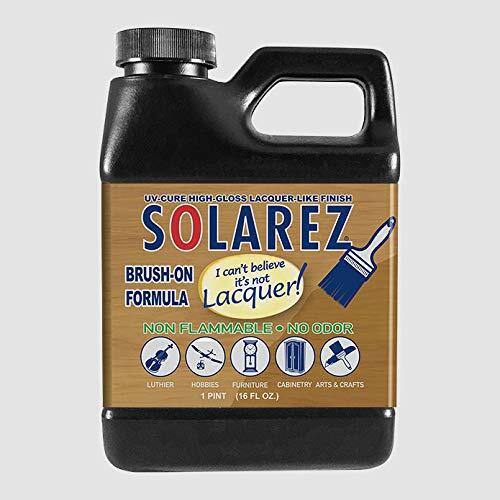 Use on new wood or restoring old wood to a deep clear finish, softwood or hardwood, marine or household applications. 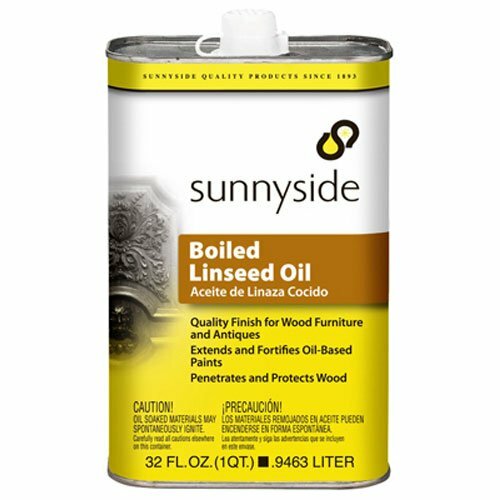 Sunnyside 87232 Boiled Linseed Oil 1 Quart is natural oil derived from the seed of the flax plant. Used to extend and fortify oil-based coatings to assure a uniformly, tough, elastic and glossy film that repels water, resists weather, slows chalking and prolongs coating life. Makes an easy-to-use, high quality finish for fine woods, furniture and antiques. Dries in 12-18 hours. Read label thoroughly before use. 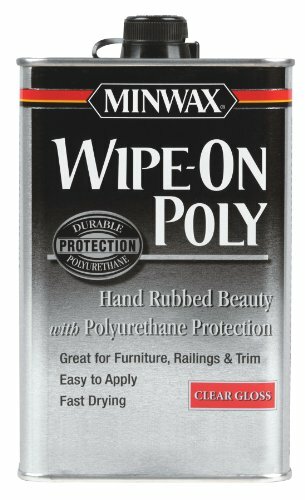 Minwax 65555 Polycrylic Qt. 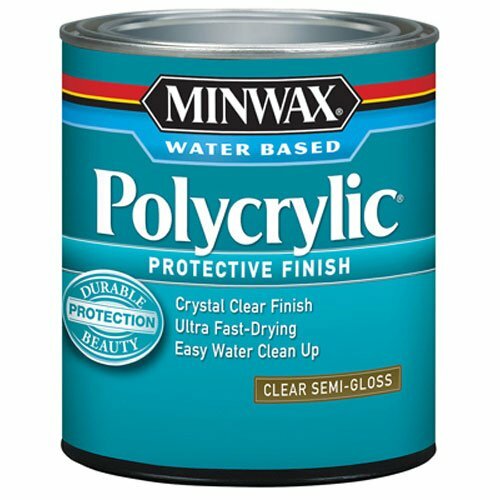 Gloss Protective Finish Minwax. Features: Water clean-up; Low odor, non-yellowing; Fast drying. The product is 1/2PT GLS WB Wood Finish. Elegant design and Finish. The product is manufactured in United States. Pour-On High Gloss Finish. Preserves and beautifies. Envirotex Lite is a reactive polymer compound. It cures to a thick, glossy coating in about 8 hours at 70 degrees Fahrenheit, and reaches full strength and toughness in about 48 hours. This durable, resilient material requires no polishing to produce a high gloss. 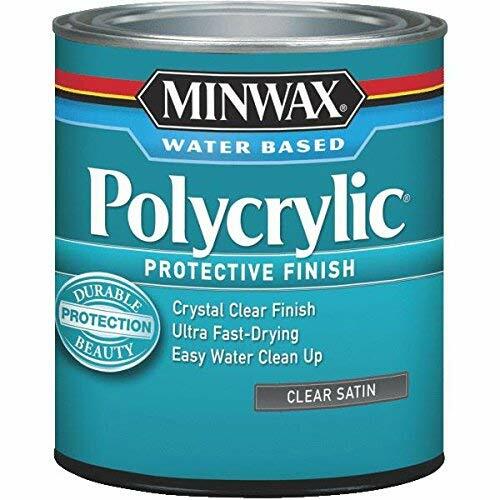 One coat is all that is usually required for a deep attractive finish, however, two or more coats may be applied one over the other by simply wiping the surface with a clean cloth and alcohol prior to recoating. Coverage: Approximately 16 square feet. Not recommend for external use . 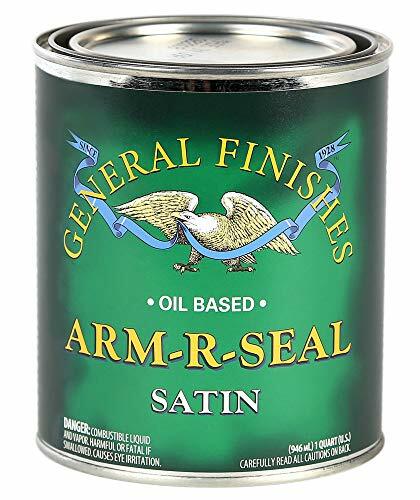 Arm-R-Seal topcoats are made with only the highest quality urethane resin, making them extremely durable and long lasting. They are formulated to be wiped on with a cloth or applied with a foam brush, thus eliminating drips and sags. They penetrate to provide deep down protection and that "natural" look. A thin, durable clear finish that delivers the beauty of a hand-rubbed finish with polyurethane protection. Envirotex lite is a reactive polymer compound. It cures to a thick, glossy coating in about 8-hour at 70-Degree f and reaches full strength and toughness in about 72-hour. This durable, resilient material requires no polishing to produce a high gloss. One coat is all that is usually required for a deep attractive finish. However, two or more coats maybe applied one over the other by simply wiping the surface with a clean cloth and alcohol prior to recoating. Envirotex lite may be used on wood, fabric, decals, bisque, photos, paper, metal, models, painted surfaces, dried flowers, plaster, rocks, sea shells, bread dough, Styrofoam and more. For exterior projects, when used as a sealer only, apply 2 coats to prime/seal, followed by 2 coats of Marine Finish. Excellent for use as a primer, tie-coat or paint additive to improve adhesion. Exceptional adhesion to oily, dense, exotic woods like teak, rosewood and ipe. Coverage. One gallon covers 500 square feet per coat. One quart covers 125 square feet per coat. The number of coats depends upon the porosity of the wood. No thinning necessary. Dry time minimum of 24 hours between coats. Poor ventilation, high humidity or cool temperatures may increase dry times. A fast-drying, crystal clear finish that cleans up with water. It has low odor, making it ideal for year-round use. Great for any interior wood surface, especially over light woods or pastel stained woods. Fast dry. For use over pastel stains. Water base. 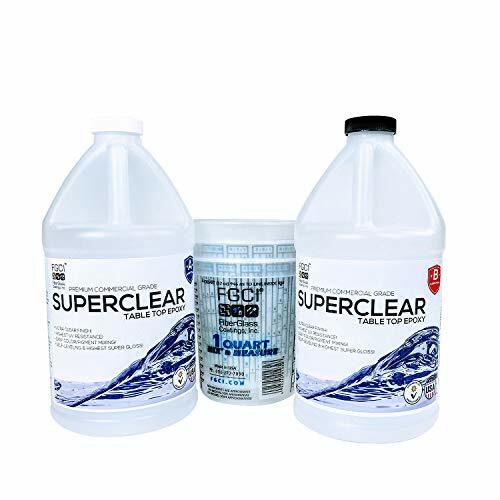 SUPER CLEAR has the HIGHEST UV RESISTANCE OVER ALL COMPETITION & dries crystal clear with an epoxy resin liquid glass wet finish! Our special formulated resin is a two part liquid glass epoxy resin systems for wood, floors, tabletops, bar tops, resin jewelry making, and MUCH MORE! Our customers continually say we are the best epoxy resin for river tables & for wood, the best casting epoxy & best epoxy clear coat. Epoxy wood table top Live edge wood table top Epoxy resin for countertops Epoxy resin sealer for wood Epoxy resin for wood cracks Epoxy kits for countertops Epoxy resin table top diy Self Leveling Epoxy Floor Epoxy resin dining table Epoxy resin wood art & MORE! You can trust in FGCI products to deliver impeccable results for any amazing epoxy projects you have. We are the largest privately owned distributor and manufacturer of composite & resin in the southeast, based in Florida! THE PERFECT Ultra Crystal Clear 2 Part Epoxy Resin Countertops DIY Kit! Ideal For Epoxy Resin Wood Tables, All Epoxy Table Ideas & Even As A Great Epoxy Floor Kit! WORKS AMAZINGLY With Metallic Epoxy Pigment! 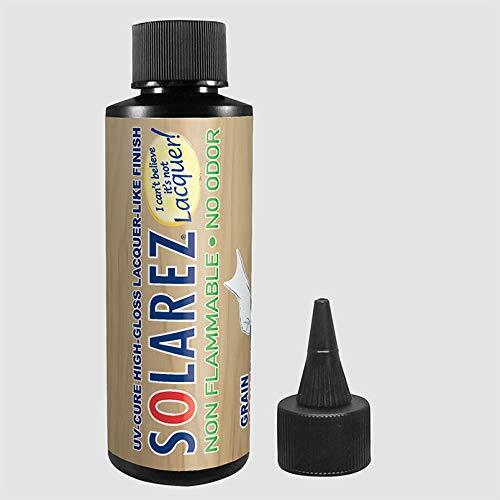 Mixes Flawlessly With Epoxy Resin Color Pigments & Creates A Superb Colored Epoxy For Wood! 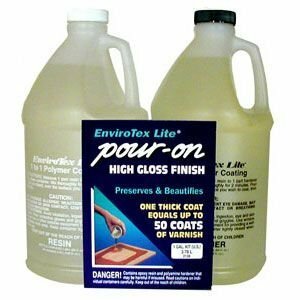 EXCELLENT FOR Colored Epoxy Resin Wood Filler Applications, Or As A Clear Epoxy Resin Wood Filler & Filling Large Voids In Wood With Epoxy! 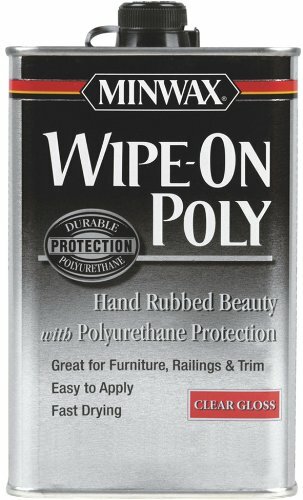 SIMPLE POURABLE EPOXY! Easy, Self Leveling Epoxy. 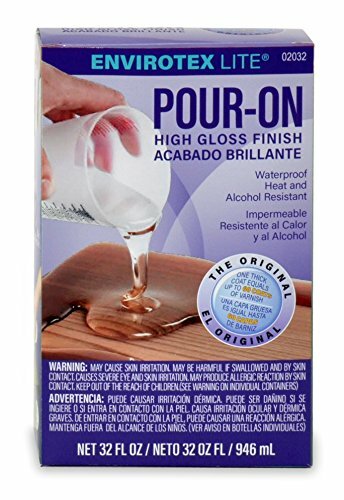 Perfect For Pouring Epoxy On Wood & The Highest Quality Clear Epoxy Resin For Bar Tops! MADE IN THE USA! 30 Minute Epoxy Cure Time Between Epoxy Coats! Includes 1 Gallon Base Resin, 1 Gallon Curing Agent & 3 2.5 Quart Plastic Measuring Cups! 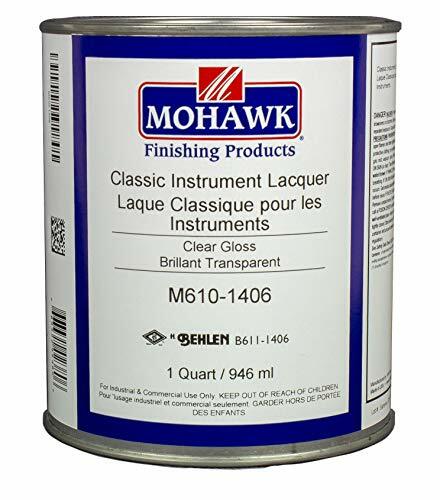 A high quality Nitrocellulose Wood Lacquer for musical instruments providing unique depth of gloss, superior color and gloss retention, adhesion, and exceptional cold check resistance. 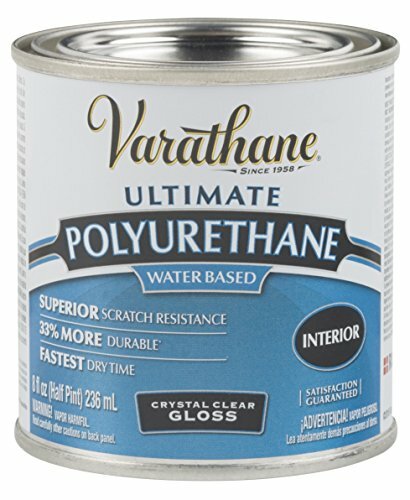 Formulated to produce a superior finish on thin, flexible veneers such as those used on stringed musical instruments. Excellent flow, flexibility and durability. Superior rubbing qualities yield a mirror-like reflectance. Supplied ready to spray. Advantages: 1. Easy to use, no reduction necessary. 2. Good spray flow leveling properties. 3. Alcohol and scuff resistant finish. 4. Excellent rubbing and polishing characteristics. 5. Minimum shrinkage on aging. 6. Superior cold check resistance (cracking) - passes 20 cold check cycles on 1/8" plywood, 5 coats. 7. Hard, wear resistant finish that will show improved appearance on aging. Easy to use, no reduction necessary. Good spray flow leveling properties. Alcohol and scuff resistant finish. Formerly known as Behlen B611-1406. Excellent rubbing and polishing characteristics. MADE IN THE USA! 30 Minute Epoxy Cure Time Between Epoxy Coats! 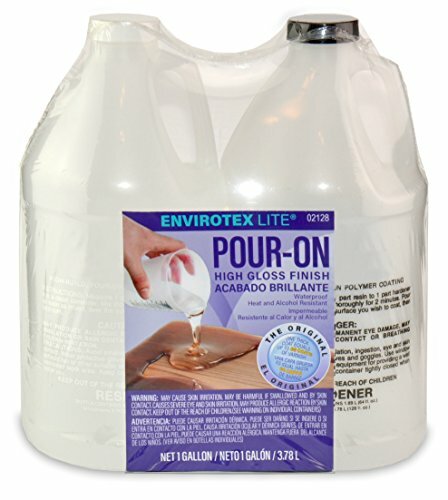 Includes 1 Gallon Base Resin, 1 Gallon Curing Agent & 3 1 Quart Plastic Measuring Cups! Highest quality de-waxed orange shellac flakes. For use in fine wood finishing, antique repair, and as a sealer. Use between other finishes to ensure adhesion. Adds depth to character and enhances chatoyance. Used for french polish finishes. Blocks pitch and odors when used as a sealer. Popular finish for guitars and other musical instruments. Dissolves in denatured alcohol. Grind before use to expedite dissolving or if blocked. If shipped when temperatures are above 90 degrees F, blocking may occur. Product properties are not affected by this. 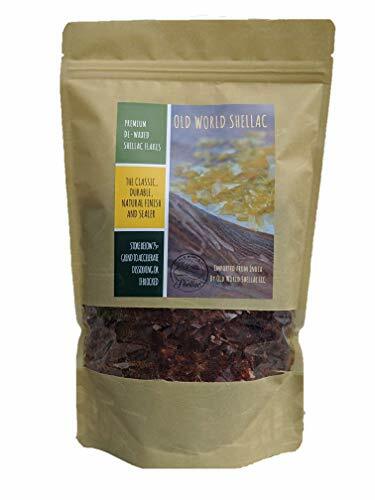 Premium de-waxed shellac flakes for use as a wood finish or sealer. For use in fine wood finishing, antique repair, and as a sealer. Use between other finishes to ensure adhesion. Adds depth to character and enhances chatoyance. Used for french polish finishes. Bloxygen Preserver. Spray, Seal, and Store. 1 can Pack. Inert Gas Preservation System. Bloxygen - Blocks Oxygen. Prevent waste and store your leftovers safely. Thickening, gelling, or skinning, clogged spray guns and ruined oil-based finishes are not only wasteful but messy and time-consuming as well. The Solution is Easy - Bloxygen The Only Way to Seal and Store Leftover Solvents, Finishes, Varnishes and More. Complete Protection: o Protects ANY products that are sensitive to oxygen or moisture damage. o Prevents changes in product chemistry during storage. o Allows you to store leftovers safely in the original labeled container. o Reduces hazardous waste and product loss. Use On: Oil Based Paint, Stain, Oil-based Inks, Oil-based Stains, Varnish, Urethane, Polished Metals, Polyurethane, Printing Chemicals, Gunpowder, Catalysts, Auto Body Chemicals and Coatings, Photo Chemicals, Fuel Additives, Marine Coatings, Polyurethane Glue, Tung Oil, Epoxy, Furniture Refinishing Chemicals, Chemical Compounds, Wine, Liquor, Hops, Seeds, Olive Oil, Makeup, Cooking Oils, and food. Long Lasting: One spray can, will seal about 37 gallon-sized containers or 75 quart-sized containers. Proven and Tested. Made in the USA. Bloxygen contains Ultra- Pure Argon Gas. This is a nontoxic, 100 percent natural gas that occurs in the earth's atmosphere. Our patented product has been lab tested and proven to be effective for preserving and lengthening the shelf life of hundreds of products. In the USA alone, the EPA showed that about 65 to 69 million gallons of paint are thrown away each year, and about 15 percent of that is oil-based. That's a line of quart cans from Los Angeles to New York tossed out each year. Apart from the environmental harm caused, you are wasting money every time you buy a new can of paint or finish because the old contents crusted over. Note: full can feels empty but will provide approximately 75 two-second bursts of non-toxic, non-flammable gas. Bloxygen. ONE can. Protects anything sensitive to oxygen or moisture damage. Bloxygen inert gas preserves leftover paint, stain, varnish. Reduce hazardous waste and product loss. Prevent changes in product chemistry during storage. Store leftovers safely, in the original, labeled container. 100% SOLIDS! Compare to conventional shellac's 27% solids content. Green Technology: Zero VOC, Non-Flammable, low carbon footprint, Eco-friendly. Fils even the deepest grains, flat-sands like a dream. 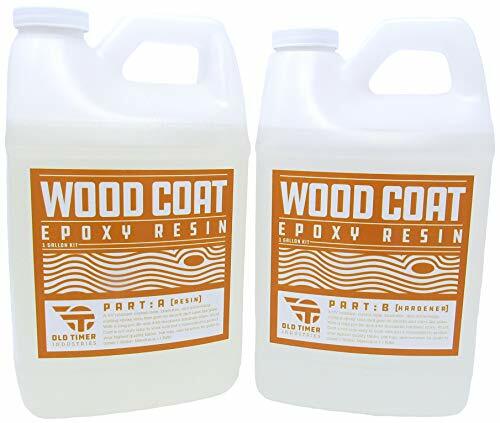 This 1-Gallon Wood Coat resin kit is specifically designed for coatings, and the sealing of wood. The UV-resistant coating provides excellent clarity and cures fast. Full cure can be achieved in 12-16 hours. Easy mixing at 1:1 mixing ratio (by weight/volume). This resin cures super clear with a brilliant high gloss finish. Perfect for Cabinets, Reclaimed wood, Plaques, Tabletops, Boats, Hobbies, and sealing Dry Rot. Wood Coat resin is VOC free, NON Toxic, and safe to use indoors. This product is manufactured in the USA. 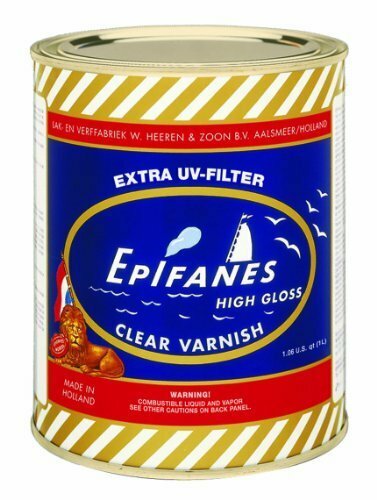 This Product is UV-Stable and Contains HALS (Hindered amine light stabilizers). This resin will resist yellowing and out perform competitors products. Surfaces coated with this product are very much durable, water resistant and as well as easy to care for you. 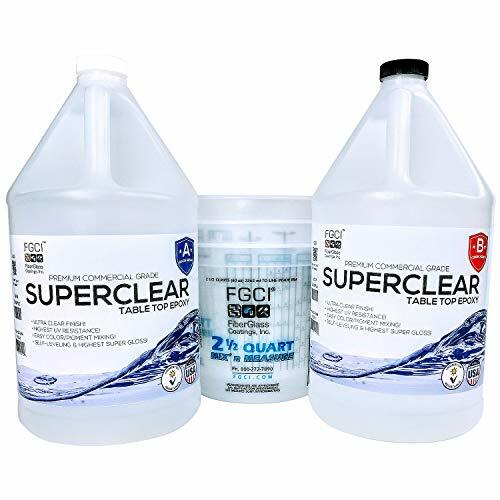 Super gloss , clear polymer that is used for coating wood, veneer, metal, stone, painted surfaces, table tops and many other surfaces to give a rich super gloss look and protect from scratching and air humidity as well. Made in USA - Kit Includes Simple Instructions for easy Applications.